Why do some distribution centers have excellent performance while others struggle? Highly Competitive Warehouse Management unravels the secrets of those best-in-class operations and shows how they create a competitive advantage for their entire company. With the accompanying Warehouse Maturity Scan, distribution center and supply chain management will also have a tool to analyze the current state of their operations. Based on these results, the author provides a systematic yet flexible action plan for improvement. The Warehouse Maturity Scan is the foundation of Highly Competitive Warehouse Management. At the start of your action plan, the Warehouse Maturity Scan calculates your savings potential and identifies your top priority actions. Get started with the Warehouse Maturity Scan. The HCWM Academy allows students to do online homework exercises on the book materials and submit answers to their teachers. Teachers can contact us to apply for this service. "Van den Berg has shown clearly, with many practical examples, how to apply contemporary management tools to warehouse management." Dr Robert S. Kaplan, Harvard Business School and co-developer of Balanced Scorecard and time-driven activity-based costing. "In two years time, Highly Competitive Warehouse Management changed the position of our distribution center from underdog to top dog in the Air Force supply chain!" Major Peter van Winkel, Ministry of Defense, The Netherlands. 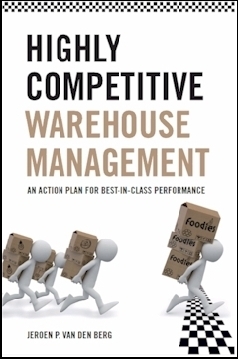 "Jeroen van den Berg forcibly shows that warehouse management - often underestimated in value - is central to achieving high operational and financial performance for most contemporary enterprises." 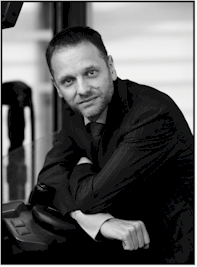 Jeroen P. van den Berg (b. 1967) is a well-known expert in warehouse management. In his work, either as a consultant, author, teacher, speaker or researcher, he challenges people to see the big picture and overcome the obstacles that prevent progress in their companies. People who work with him, will notice his talent for giving structure to complex issues so that they become easy to understand. His previous publications are Integral Warehouse Management (2007), co-author of Best Practices in Logistics Performance Indicators (2006) and Planning and Control of Warehousing Systems (1996).